My son Alex calls it my "talking club" but it's really so much more! Voxer has been a game-changer for me in terms of personalizing my professional development and strengthening connections to my friends across the miles. Voxer is an app for your phone and I've also accessed it from my desktop. It is a way for you to share your ideas orally with a person or group. People listen as they have the chance and then share back. You can post links and photos. Just tonight, I posed a question to my "All Things Literacy" group, including JoEllen McCarthy, Susan Dee, Aliza Werner, Kristen Picone, and Jason Lewis. They are a powerhouse group of knowledge and passion when it comes to literacy! I trust that when I'm struggling with a question or issue, they will listen and offer sound advice. They know their stuff, and they help me think through my questions. How amazing, at the press of the button, to be able to talk to such gifted professionals, at any time of day. How fortunate I am to have these generous, gifted educators willing to share their knowledge and ideas with me! I've also loved using Voxer for Two Writing Teachers. We had a book club in the fall to discuss Lisa Eickholdt's book, Learning From Classmates. The discussions helped push my thinking about what I was reading. Having the author, Lisa, as part of the conversation was incredible. I've never had the chance to interact with an author like that about her work. It was a gift. We recently created a Voxer group for helping promote the notion that educators should be writers. The conversations have sparked so many new ideas. In addition, I've been in a Voxer group for #cyberPD friends who wanted to keep the learning going after the summer session ended. This is a dynamic group of educators, trying so many forward-thinking ideas! 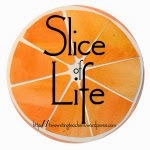 Heidi Weber shared how she is using badges with her students and it completely inspired me to try badges for the Classroom Slice of Life Challenge! I think I will incorporate badges into the 40 Book Challenge next year as well. I never would have thought of trying it if I hadn't heard Heidi's enthusiastic voice sharing her new learning with the group! I was also in a Voxer group last summer for Jen Serravallo's Reading Strategies book. It was amazing to hear the conversations from educators all over the country as we read through this book and discussed the different strategies. I learned so much from the conversations. On my drive to work, I love listening to my "voxes" (my Voxer messages). It's like talk radio, but with friends as the broadcasters. Sharing my thoughts through Voxer helps me process my own thinking differently than when I write. It helps me know more deeply what I believe or what questions I still struggle with. My students love Voxer, too. We created a Voxer group to discuss Fish in a Tree with other classes during the Global Read Aloud Project. The kids loved listening to the messages and also sharing their thoughts. Voxer is an easy tool to use in the classroom for flattening the school walls and encouraging more real-world conversations and connections. I've also used Voxer to keep up with non-teaching related friendships. One of my closest friends lives in Delaware and our schedules are totally opposite. When she has time to talk, I don't and when I have time to talk, she's not available. 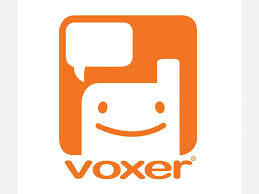 Voxer has helped us stay connected. It's not the same as a conversation, but at least we can hear each other's voice and share what's new in our lives. I'm trying to recruit some of my other friends to sign up!